Quick question: What’s the easiest, fastest, and the most effective way to connect with your audience? You might swear by social media. Or you could be an email marketing addict (like me) and be sure that email marketing is the way (it is, except that there are faster ways to connect with your audiences). Now, surveys don’t have to be an involved and a multi-team play; it can be as simple as asking a single question with multiple choices for your visitors to pick from. Or it could be a single question with an open form field letting users type in their inputs. Depending on your business and how you plan to use surveys, the actual survey you’ll create with WordPress could differ. But then, regardless of the type of survey you want to create, it’s easy enough with something like WPForms. With Google Analytics, you’d have a complete picture of how many people visit your website for specific time periods, how many of those visitors keep coming back, and just how long they stay on your website. You can also get insights about the pages they are visiting, the content they are consuming, and how fast your web pages load. If you wanted to, you can keep a track on the behavioral flow of your visitors (as in what pages they land on, where they go next, and what are usually the pages they exit from). If you have an e-commerce store or if you use goals for your web pages, you can retrieve accurate data about your results. With Mouseflow, you can also get video replay sessions of each visitor along with form analytics, heat maps, geographic reports, and more. 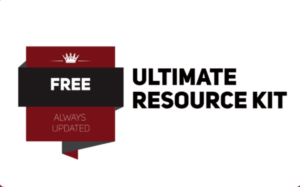 Are your users connecting with your website content? Would your users like to see something on your website that you don’t have yet? Are your visitors getting answers to the questions they have on their mind? Are your users able to navigate and find what they want on your website? Is there anything they like (or don’t like) about your website, content, products, or services? Direct feedback like that is pure gold. You can use surveys to find out answers your Google Analytics or Mouseflow can never tell you. With surveys, you open up the gates of communication, pronto. Just by using a single question which goes something like one of the above variants, you could quickly determine what your visitors actually want and what you are publishing. It’s no secret that marketers and businesses tend to go off on a particular path with their content marketing because it’s just fast and efficient to do so. Or you could be suffering the “I know what I do and I am right” complex and keep publishing stuff that your visitors don’t even relate to. As Colleen Jones of Content Marketing Institute points out, there are right ways and wrong ways to do surveys. Checking out your web pages, watching your videos, and reading your blog posts are the first things your website visitors do. As such, they already have impressions on their mind about your business and brand. Is my content in sync with my brand positioning and what I really want to achieve? Are visitors able to gain value out of my content? Is my content helping them learn something new or is it able to help them influence their thinking? Is my publishing in line with what my visitors really want? Is my content helping them in any way at all? By asking the right questions with your Survey forms, you can get insights — on a continuous basis — about your content so that you can tweak, change, or maybe completely change the way you do content marketing. The customer is usually right but you have no idea if you are doing the right thing or not. Repeat customers checking out other products on your store. By asking pointed questions to casual visitors, you could draw insights on what’s stopping them from making a purchase. By gathering instant feedback from your recent buyers, you can ask for direct feedback on your products or services. By launching customized surveys to existing shoppers, you can use surveys to find out how you can make your product positioning better, for instance. 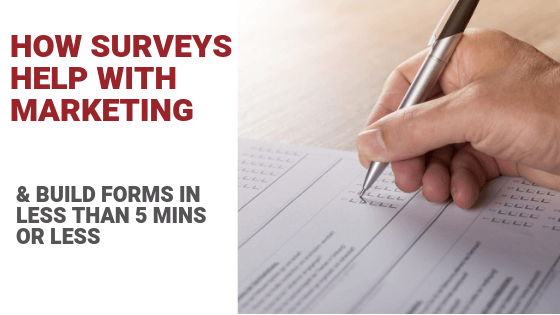 Tools like WPForms provide you with ways to create survey forms within WordPress. Plus, you also get to use powerful features such as hosting your survey forms on dedicated landing pages, using conditional logic, retroactively enable survey forms on older forms on your WordPress site, and more. Check out WPforms and see how you can make use of their latest, Gutenberg-ready form builder. Use Form Pages (dedicated landing pages) features, Survey forms, Client-booking forms, and various other WordPress forms add-ons and plugins. Are you using forms — including polls, surveys, booking forms, feedback forms, and information-gathering forms — for your marketing, product positioning, or for engaging with your audiences?